There’s a saying “all roads lead to Nantwich, all trains go to Crewe”! How did this come about? Nantwich would have been a much better railway centre. The Chester Canal, connecting Chester with Nantwich, was opened in 1779, and later extended to Whitchurch and mid-Wales. The ‘New Cut’ was opened in 1831, linking the Ellesmere and Chester Canal at Wardle Green with the Grand Junction Canal Middlewich. 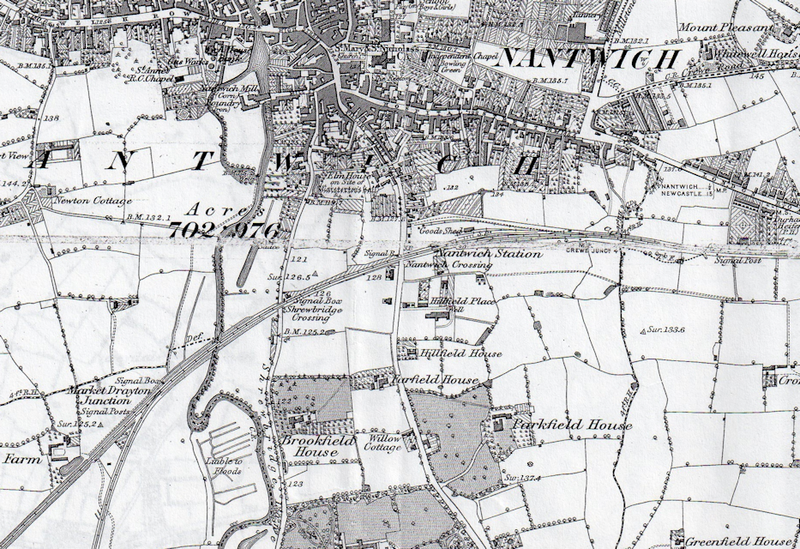 So why did the railway come to Nantwich 21 years after it came to Crewe? Nantwich was an important coaching town, with a lot of money being made putting up travellers, repairing carriages and looking after horses. 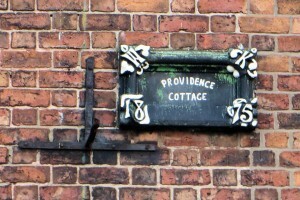 “called upon some of the landowners in the neighbourhood of Nantwich, to obtain their assent, and was greatly disgusted to learn that the agents of the canal companies had been before him, and described the locomotive to the farmers as a most frightful machine, emitting a breath as the fabled dragons of old; and telling that if a bird flew over the district where one of these engines passed, it would inevitably drop down dead.”! Land around Crewe would have been cheaper as was mainly agricultural compared with urban Nantwich. So Crewe Station started services on 4 July 1837, but Nantwich railway station was not opened until 2 September 1858. When the line from Crewe to Chester was constructed, a station was built at Worleston (3 miles north of Nantwich) which opened on the 4 October 1840. Worleston station was originally called Nantwich, but was renamed Worleston – when Nantwich got its own station 18 years later. The LNWR Shrewsbury to Crewe line was authorised on 20 August 1952, and plans to build it were implemented straight away with Joseph Locke the Principal Engineer. 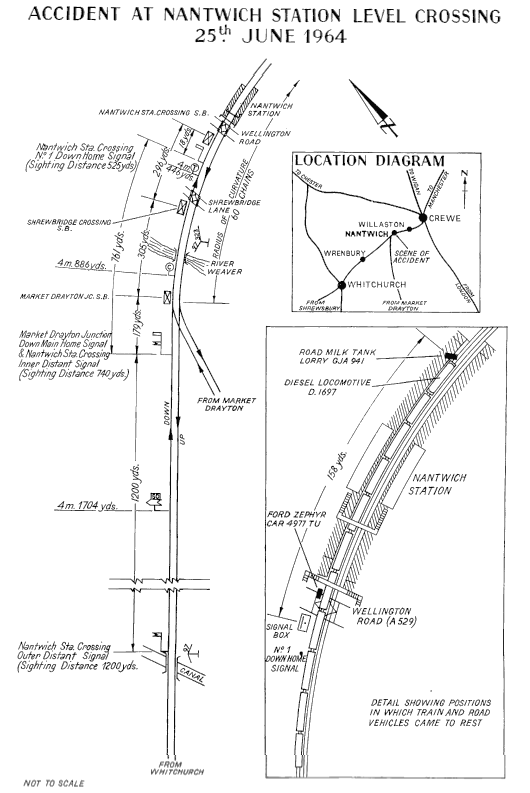 This line opened for traffic on the 1 September 1858, and was initially single line. The line was very successful, and became double line by 1862. 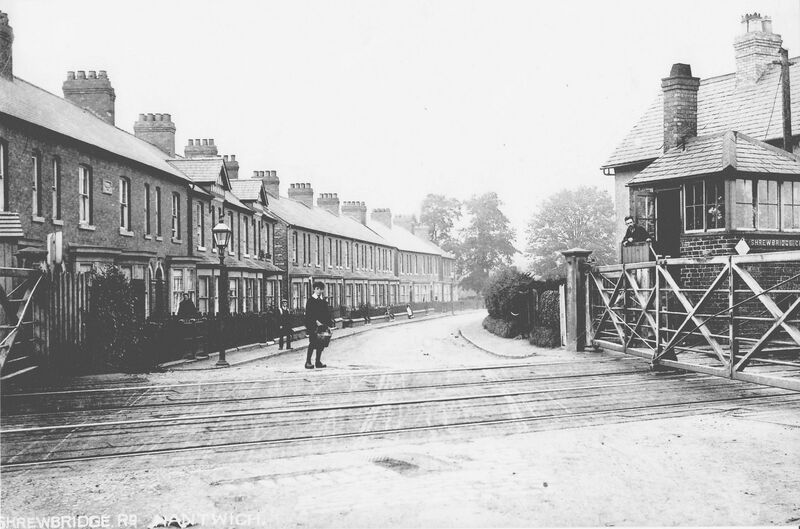 The Nantwich & Market Drayton Railway was opened on 19 October 1863. It was originally a single line branch worked by tank engines (one engine per section). There was an undertaking that a turntable would be built at Nantwich, but this never happened. An early timetable shows three trains a day, each way (and one train each way on Sundays). 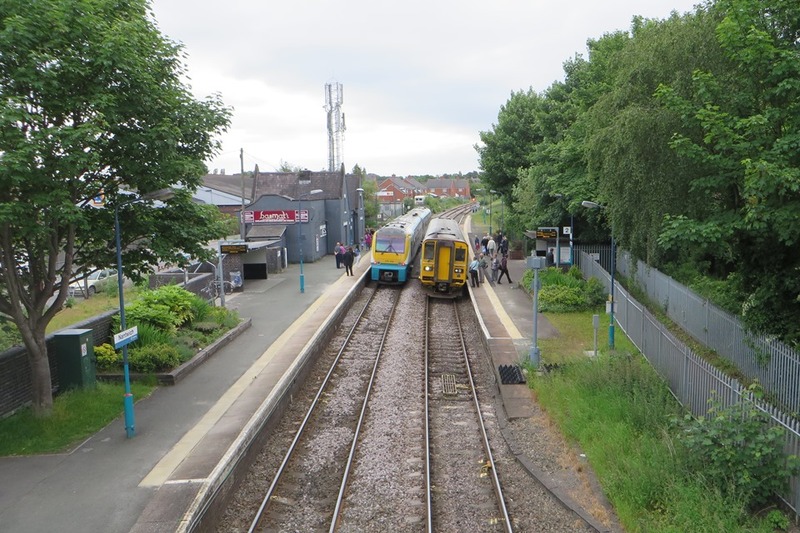 The journey between Nantwich and Market Drayton takes 35 minutes, with scheduled stops at Audlem and Adderley. Halts were later built at Coole Pilate and Cox Bank. The line rapidly became part of the Great Western Railway’s Wellington to Crewe line (double track). It carried mainly freight, and some local passenger traffic until closure in the 1960s. There were however regular day trips to seaside resorts and places of interest. Market Drayton is famous for its gingerbread (see here), so the line was called the “Gingerbread Line”. You can read more this line in Great Western to Crewe: The Story of the Wellington to Nantwich and Crewe Line (Locomotion Papers) by Bob R.W. Yate. Bob tells us in his book that the volume of passengers never reached an acceptable level. In 1872 a typical day saw only 19 tickets issued at Audlem. The line from Wellington to Nantwich was closed on 9 September 1963, as part of the infamous Beeching Cuts. At one stage there were four signal boxes at Nantwich. Coming from Crewe, there was one where the railway crosses London Road, another at the station, one at Shrewbridge Road and one controlling the junction with the Market Drayton line. They’ve all been removed now. 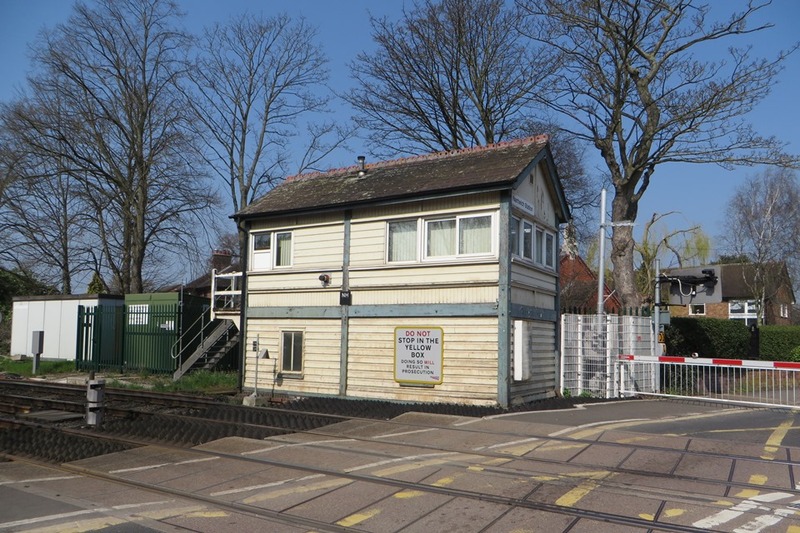 The last signal box, which was at the crossing by Nantwich station, was removed in January 2016 and is now situated at the Railway Exchange Training Academy (RETA) in Crewe (see here for more details). 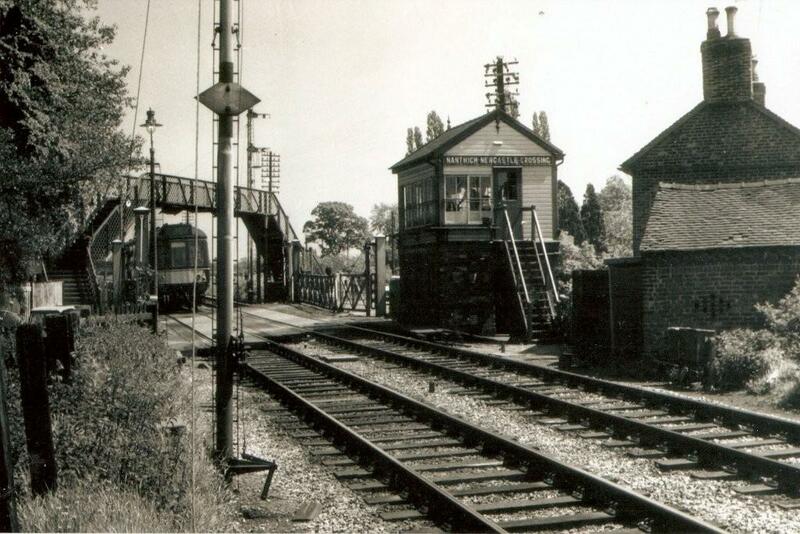 The above box was not the original Nantwich crossing signal box. It was built in the 1940s, (having previously been used at Wem). The original box would have been brick built in the style of the old Shrewbridge Road signal box, please get in touch if you have a photo of the old box. called Wesley Knowles. Poor Wesley lost an arm in a railway accident in 1865, which meant that he would be unable to drive a steam train – but he could still manage to operate the signals and the crossing gates. One day the train from Shrewsbury arrived at Nantwich Station – with the Shrewbridge Road crossing gates on the front of the engine. The staff walked up the track to the Shrewbridge Road crossing, realising that something terrible must have happened. They found that the steam train had removed poor Wesley’s other arm, making him completely armless! Poor Wesley survived the accident – but was unable to continue his duties as a signal men. He then operated a shop selling items on a tray, and you put your money into a jar. My thanks go to local historian Susan Church, who provided most of the details about this story. She’s written a more detailed article in the 2016 Member’s Journal of Nantwich Museum. 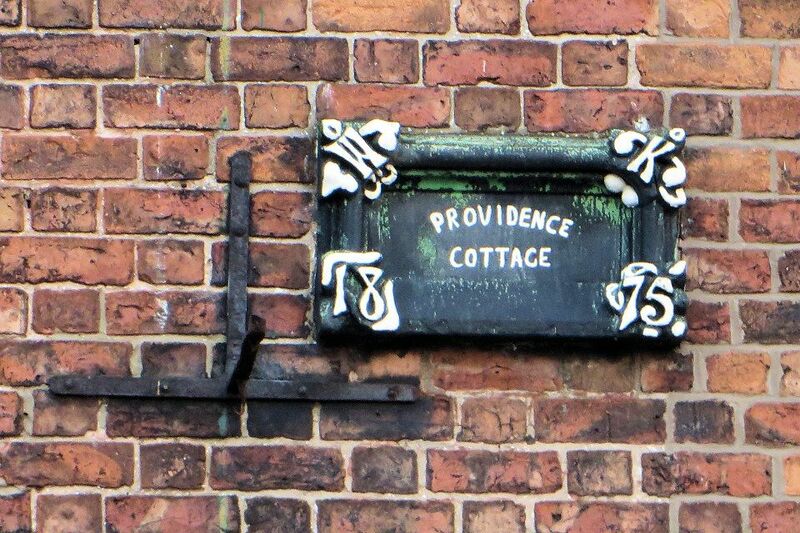 An inquest was held at the White Horse Inn, Pillory-street, Nantwich, before Mr Churton, coroner, on the body of Mr. Thos. Cartwright, shoemaker, of Howard’s Row, Hospital-Street, Nantwich, aged 46, who was killed at the station crossing on Tuesday, and in point of fact cut to pieces, the right foot being entirely severed and the body terribly mutilated. James Millington, railway porter at Nantwich Station, said he knew the deceased by sight only. The accident happened on Tuesday night, about six or eight minutes past seven o’clock. He did not see deceased on the line till the train was only three yards off him. Deceased was trying to cross the line. A man on the engine shouted to deceased, and then he threw up his arms and shouted “O! Lord,” and then the engine knocked him down. The gates at the crossing were locked and the wickets also. Witness was in the box at the gate and saw everything that occurred. The train was coming at walking speed into the station – it had almost stopped. Witness went down from the box and found the train had dragged him some six yards. Deceased’s body was in the four foot and his legs on the rails; the whole of the train had passed over him, and he was quite dead. The body was very much injured. Mr. Marsden, in answer to the Coroner, said the deceased had no business to be where he was. There was a board up warning trespassers. He had not been booked to anywhere. The porters on the station would not have seen him where he was. None of the officials on the station saw him. 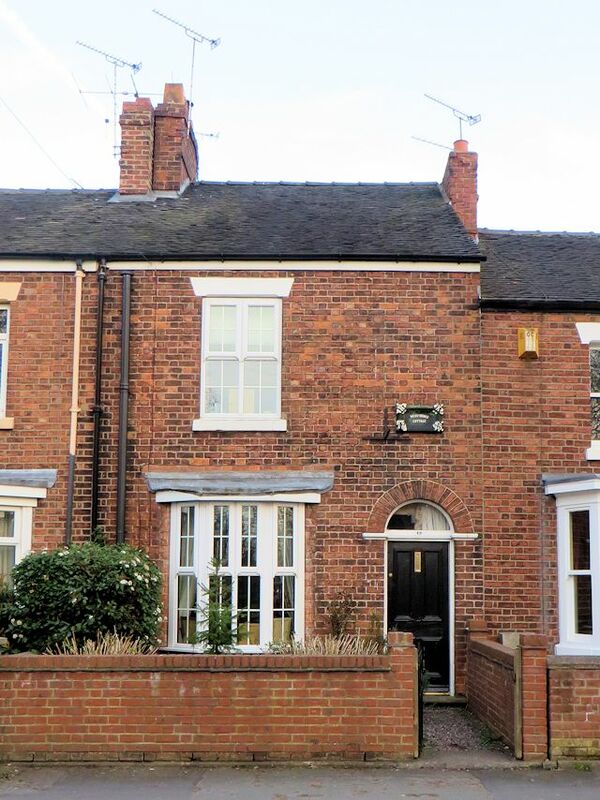 William Cartwright, deceased’s son, said that it was true that some friends of his father had been intending to go by the four o’clock train, but they did not go by that train, but walked to their home at Shavington. His father bid them good bye at the Cheshire Cheese, and was coming down Hospital-street shortly before seven. His father was then perfectly sober. He had not the slightest idea why his father was trying to cross the line at that time. Mr. Marsden said that Mr. Galley could tell them that he was at his house in the afternoon. Mr. Galley said that the deceased was quite sober when he was in his house, and only had one glass of ale. Mrs Green said that she did not see deceased previous to the accident, but only heard him groan just opposite the pointsman’ s box, as the buffers of the engine caught him. The Coroner said it seemed a most mysterious case; nobody was able to tell what the deceased’ s object was being on the line at that time. He did not see that they could carry the case any further. It was clear that deceased was trespassing on the line, and while doing so, met with his death. A shocking fatality occurred at Nantwich, on Saturday afternoon. A little boy named Sandland, son of a groom, in the employ of Mr. Cooke, a Manchester gentleman who has a hunting box at Nantwich was returning home during a thunderstorm with his brother with whom he’d been fishing in the River Weaver, and was crossing the line at the Shrewbridge Level Crossing when the 4.30 Bristol express caught him. The little fellow was killed instantly, and shockingly mutilated. 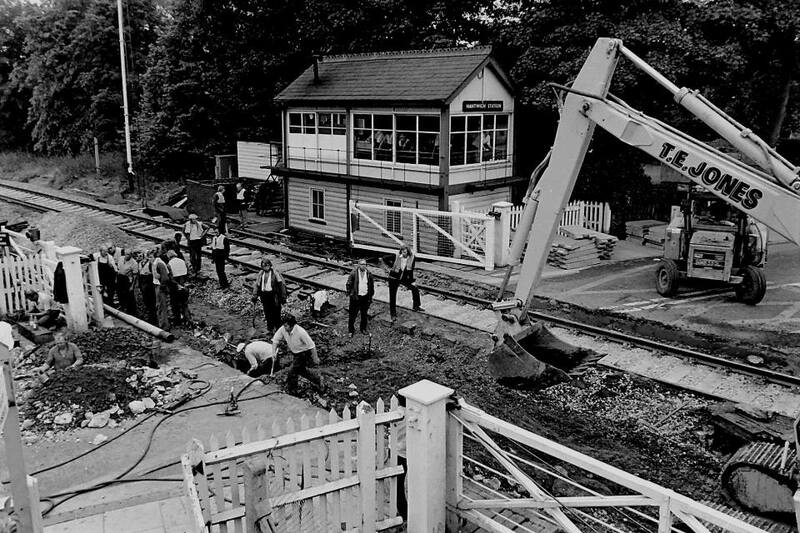 Another terrible accident occurred, at Nantwich Station level crossing, on 25 June 1964. An express train, from Plymouth to Manchester, passed the danger signal for Nantwich Station Crossing. The train ran through the crossing gates at a speed of about 35 m.p.h. whilst they were open to road traffic. On the crossing at the time were a road milk tank lorry going northwards and a file of slow-moving southbound vehicles. The diesel locomotive hit the milk lorry squarely and carried it forward about 130 yards coming to rest with its tangled remains locked under the nose of the locomotive, its load of 1,500 gallons of milk being emptied along the track. There was no derailment. One of the southbound vehicles, a private car, was swept to one side by the milk lorry as it was pushed along by the train, and crushed against a gate post of the crossing. The 2 car passengers involved were George Eardley VC and his wife. George was on his way from Crewe to Shrewsbury to some army related event when the accident occurred. Both he and his wife were trapped in the wreckage. A local doctor, Dr. Kay, was called out and he amputated George’s foot without anaesthetic at the scene! Eventually they were both cut out of the car. George’s wife died three days later in hospital. George lived until 1992, I’ve reproduced his obituary here, it’s a fascinating read! The above image is of 42575 at Nantwich in 1962, courtesy of Ben Brooksbank. This picture was taken on 6 August 1962 – which was an August Bank Holiday Monday at Nantwich station. The code 5A on tank loco 42575 refers to it’s home depot where it got most of its maintenance. 5A was Crewe North shed. The class of the loco is a 4MT tank built to the design of Sir William Stanier by the North British Loco Company of Glasgow in 1936. The train appears to be stationary with steam blowing off from the safety valves. The signals behind it have already been placed at danger to protect it from a following train. The headcode, 1Z85, denotes an express special or excursion train. The locomotive is a tank engine with limited coal capacity, so is unlikely to be travelling a great distance. The carriages are unusual for this line. The first is a Gresley former LNER vehicle, the second, a BR standard mk1, followed by at least three non-corridor, high-density suburban carriages. The use of such a motley rake of carriages also suggests a busy bank holiday or summer Saturday. The vegetation certainly indicates spring/summer. With no other information, a contact guesses that this would have been a train from the Manchester area going to the mid-Welsh coast, either via Whitchurch and Oswestry or via Shrewsbury to Welshpool and on to Aberystwyth or Barmouth. 42575 would have been replaced at either Whitchurch or Shrewsbury. There’s an excellent booklet, written by Jeremy Nicholls, called Nantwich Railways, which contains more information and is available from Nantwich Museum. This page is a work in progress, and I’ll add more information as soon as I can. Please get in touch if you have more information, and especially if you have any old pictures that I can use.